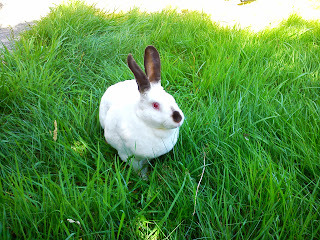 Speedy the cheeky house bunny: Mummy and Me we have been Busy in my miny Hay field! Mummy and Me we have been Busy in my miny Hay field! 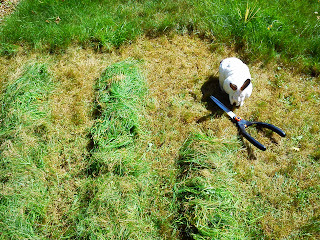 So today Mummy started the second cut on my mini hay field and I thought I would help! you can see the rows of grass lined up like in a big field! And then I decided to go and explore leaving mum to get on with cutting,seems its quite hard doing it by hand when the sun is on you!Poor Mummy but you're doing a great job! You are going to have lots of tasty stuff to munch on Speedy! It does look like it would be hard work. 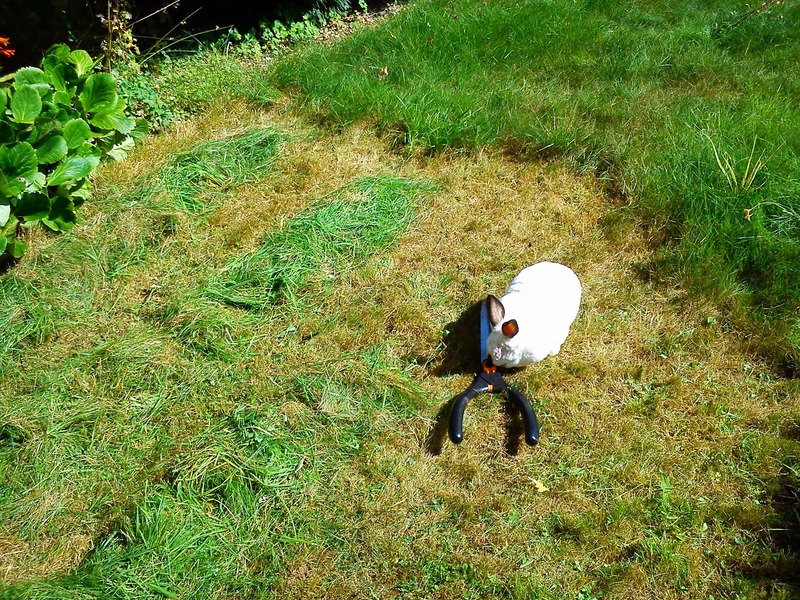 That is very thoughtful of your mum to make you your very own hay. My dad used to make it for the horses but he doesn't any more because he said it was getting too hard work for him and mum every year. Now a man comes and delivers it. It looks like you have plenty of yummies to munch on Speedy! That looks like a fun time for you Speedy, but I'm not sure if Mom was having a good time. Hey, you're looking darn good my friend! That is so great that your mum makes all your own hay! You're a lucky bunny! Plus, you get nom before it's hay. Looks like you were having fun out there. 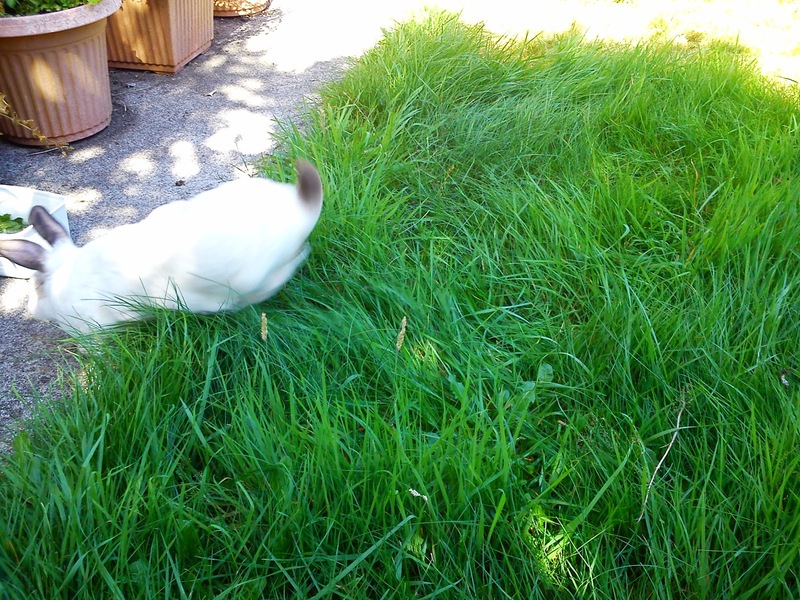 Speedy, you keep nomming that grass and your mom won't have to cut it! What a wonderful hay field, Speedy!!! Makes me think I need a nip field! Fresh hay! Sounds like bunny heaven. home grown yummies! !1 That is so cool and so healthy for you! YOu have a great mum! I am hoping you are feeling good now! Great that you have a good harvest Speedy. Have a serene Sunday. SIR SPEEDY and Rachel! 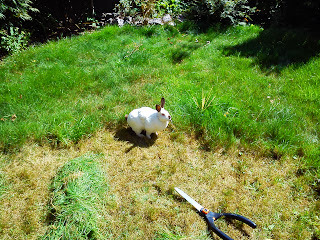 How lovely to see you both out in the sun, working, playing (Speedy) and enjoy the long shadows of summer! And I see dear little Speedy one, that your one eye is sufficient to help you navigate exciting new spaces! 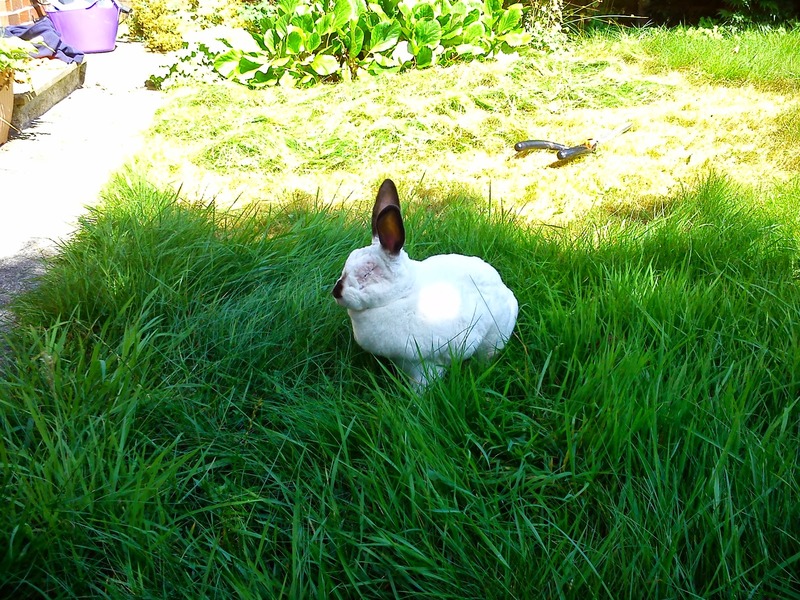 oh Speedy, how lovely to have a hayfield all to yourself! We have lots of hay fields here in rural Nova Scotia but... YOUR hay field is the neatest, cutest, most wonderful hay field ever! Oh that's a lot of work, even for a Bunny named Speedy. I think that's more a job for humans, you can supervise them or you can check if all blades have exactly the same length, when your mom says that she is ready. have a wonderful sunday Speedy. 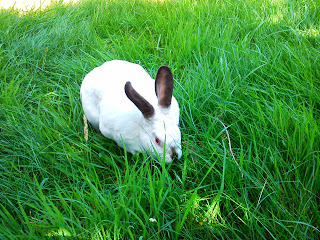 btw: why your grass is much greener than mine? Has it to do with the fence and the other side or have you a green paw? What a lucky bunny Speedy. Now Molly and Faline is wondering why they doesn't has their own field of hay! Speedy you have the best Mummy ever! You are gonna love that field! 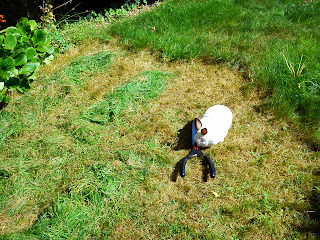 Wow Speedy, you really have your own hay field! We think that hay tastes extra good and you will love it when winter comes. Good you gave your Mom instructions and supervision. Oh yummy! What a treat! Oh my goodness! Now why can't my hoomans make a grass/hay field too?! You can eat the grass when it's fresh and then when it dries it becomes hay, right? (I've never thought about it, I just eat them). That looks like a nice hey field you've got there Speedy - if you need any help watering it next year, give me a ring and I'll pop over! Your own hayfield?? and hand mown! wow, you are one lucky bun! What a lucky bunny! That looks pawsome. You've trained her beautifully! Well done! Speedy you look really good, honey. Good job helping mom too! I know you must be worn out from all that work cutting the hay and nomming. Wow, look at all that grazing space, yum! What fun, Speedy! Speedy, mom said you look like one cute bundle of fluffy cloud. LOL I don't blame you, Speedy. I would have done the same! Wonderful Speedy! 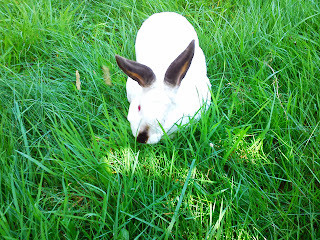 You are a lucky bun to have a nice field!! Aww look at that nice big feild just for little old you! So cute! Looks like you're having fun to me!